 Public Lab: Oil Testing Kit Public Beta Program - Welcome! 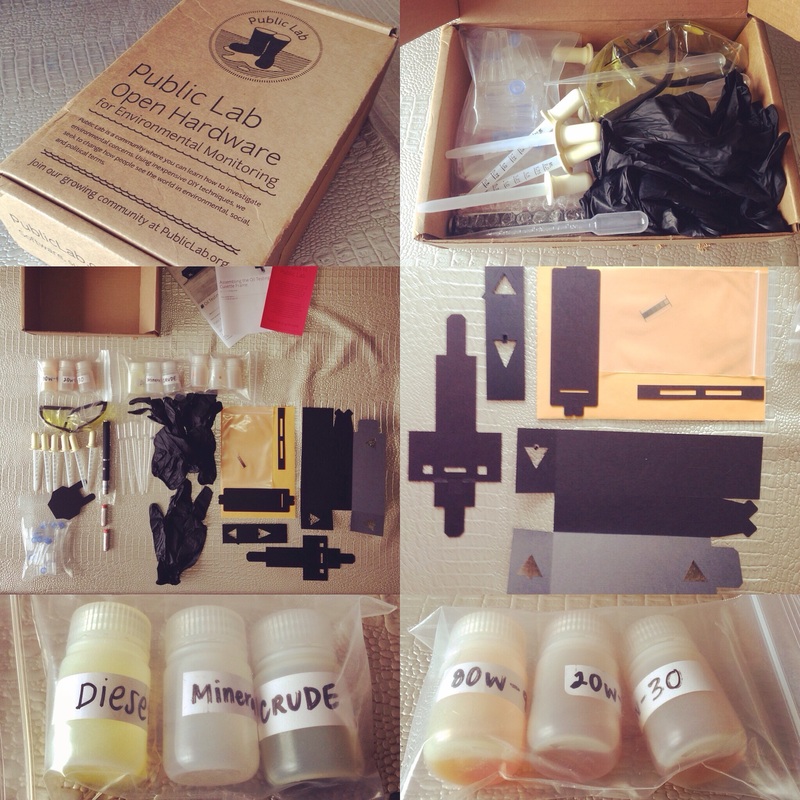 Oil Testing Kit Public Beta Program - Welcome! We've had a huge response for our call for help in the Oil Testing Kit Beta Program from a couple weeks ago, and today we're ready to announce our selection. These 20 people have agreed to participate in the first public beta of the OIl Testing Kit by posting documentation of their tests as well as their raw data to troubleshoot the procedure and setup. "...over recent years we have suffered from oil pollution on our beaches after ship wrecks and also oil spills at a oil refinery on the river Loire who's estuarie is near our beaches. We sometimes find black residue on rocks and I would like to be able to test these and also water samples around our area." "We have been looking for just such a way of consistently testing samples from locations in and around our bay... both where we suspect legacy petrol-based waste dumps and spills, and to examine new spills." "Vancouver recently had an oil spill happen right in the city waters, and months later there is still black crusty stuff on the beach which no one seems concerned about. " We have a lot to do before we can get to testing some of these scenarios, but the Beta Program is intended to refine and improve our test so that we can do rigorous and credible testing soon! We'll be announcing a quick meetup session in a week or so where we'll outline some of the specific responsibilities participants will have, and be available to answer more questions. If you weren't selected this time, don't worry - we anticipate a broader release pretty soon, so you won't have to wait long to get your hands on a kit. We are very eager to get you all kits and to grow this important effort. Hi I have just received my beta testing kit, and it is the first time I have seen this post announcing that I had been selected in the Beta Group... Have you had this meet up yet? We haven't yet -- sorry! There was a delay in shipping the spectrometers that the OTK relies on. Do you happen to have one already? If not, no worries, we will be shipping them shortly. Thanks for your patience Craig. BTW, you mentioned that you learned the fact that you are selected for otk beta testing from this post. We also sent few e-mails to all participants. Are you getting those e-mails? Your address in our records is: craig@axiondrone.com, is this correct? Just got the second box, which looks like the spectrometer. Haven't had a chance to formally unbox yet. Expect to be able to do so in the next couple days. Looking forward to it! So glad to hear it! We're excited too -- a schedule for the test program is forthcoming, too. Just received the spectrometer. I will begin unpacking and start testing by the weekend. Wohoooo...Yes we are ready to start!!! Please share your photos of unpacking, folding and assembling...Also please post your questions to get help and comments/suggestions to make it better! Saw @mmmelissa post an unboxing tweet too! Got those lovely boxes just now! Will post in french and english this week-end Great! I received the spectrometer portion of the kit this week. I will post unboxing shots and work on building it next weekend.